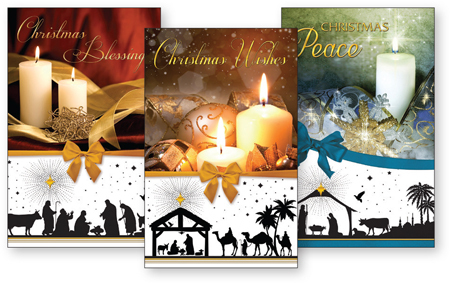 DIRECT FROM LOURDES - 10 Candle Christmas Cards. 10 Candle Christmas cards with litho gold. Verse 3. May the Blessings of Christmas be with you today and always.